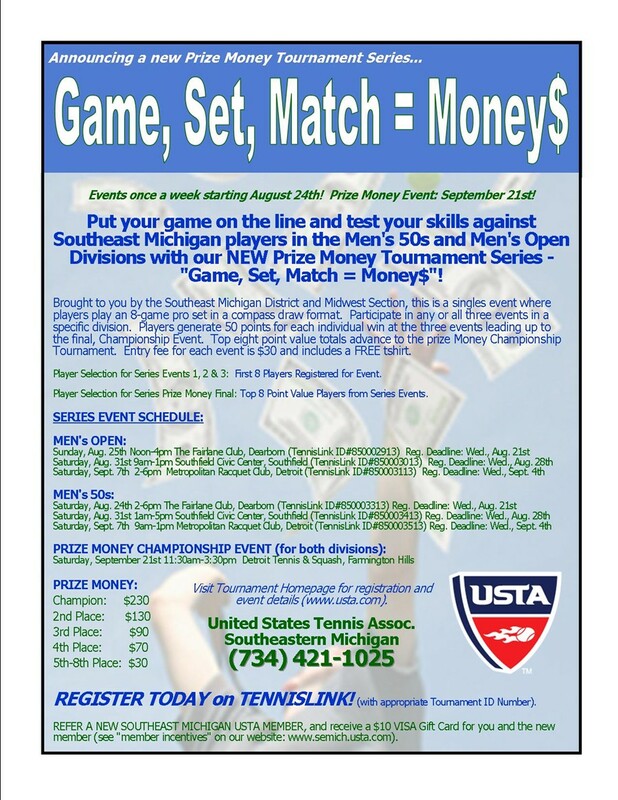 ANNOUNCING A New Adult Money Prize Tournament Series! Players generate 50 points for each individual win at the three events leading up to the final, Championship Event. Top eight point value totals advance to the prize Money Championship Tournament. Entry fee for each event is $30 and includes a FREE tshirt.